The Benicia Herald recently invited Mayor Elizabeth Patterson for an interview, to discuss her campaign for re-election. Mayor Patterson provided responses to the following questions posed by the Herald. 1. How did you get into politics? When were you first interested? I was always keenly aware that we had limited natural resources, but it was the first (national) Earth Day when I started getting involved in the politics behind it. I felt it was a good place to start, to be involved and organized around this concept. That evolved over the years, being involved in a host of issues including coastal access, which caught my interest being a second-generation native Californian. There was a close connection at that time – it was easy to gather key people together. I was able to galvanize support (around that issue), and that’s how the Coastal Act effort began. I discovered that planning was the hub for community health, and civic and commercial function. It became obvious to me that we need to be thoughtful in planning in order to have economic health and community well being. All these concerns are spokes off the center of planning. 3. What goals do you have for the next term? I respect our General Plan, and I work to honor the law. If re-elected, I would continue to hew closely to the General Plan. My major accomplishments to date include taking on a leadership role in forming our Community Sustainability Commission, which is tied to the Valero Good Neighbor Steering Committee, and the Arts and Cultural Commission. There are many talented people in Benicia, and I have tapped into their backgrounds and abilities. I handled the logistics and strategy for getting those commissions approved. 5. What direction do you think Benicia is heading? My vision is for a thriving Benicia. That is dependent on our investing in high-speed and affordable internet service in the Industrial Park. Re-branding the Benicia Industrial Park to the Benicia Business and Industrial Park would attract businesses that may be deterred by the name “Industrial Park.” Putting on a third Clean Tech Expo would demonstrate that we are open to clean tech industries. A third of job growth is in clean tech, and it’s what the new generation of millenials is interested in. We need to begin planning now for the expansion of the industrial park with Seeno. The Enhanced Infrastructure Finance District is a perfect tool toward that end, but it needs direction, and commitment from the city council. 6. In what areas do you think Benicia has succeeded in the past, and where has it fallen short? How can we do better? Well, prior to the 1980s, some major decisions were made that in hindsight can be seen to have met short-term needs without taking some long-term issues into account. When the Army left (Benicia’s Arsenal district), they didn’t have any plans for transfer of use or cleanup. The State Department of Parks and Recreation wanted the land, but the decision was made at that time to go with an asphalt plant instead. It was a road not taken. (A state historic park) would have celebrated our Civil War-era history. The other decision was the planned unit development of Southampton, which at that time was the largest planned-unit development project in California. The challenge now is to enhance the Southampton area with the same new direction, moving toward water conservation and re-use, walkability and driving less, and taking steps toward making housing more affordable for new families. We have an aging population. There will be many demands for people to downsize. The housing is expensive for young people. That is a big structural problem that we have, and there are ideas out there that we can take small steps, make small adaptations, that would sustain the area. Some of the best decisions that have been made over the past 25 years were the preserving of our historical heritage, protecting our unique historic neighborhoods and buildings, including the lower arsenal, and recognizing the value of arts and culture, which leads to economic vitality and community desirability. 7. Finally, why should Benicians vote for you over your opponent? I have experience they can trust. In any election, you want people to focus on leadership; leadership with vision, courage and heart. The public knows me and can depend on me to do that. I like to engage the public. I believe that a public engaged is a public that can move forward together. My opponent (Vice Mayor Mark Hughes) has specifically pushed against workshops and study sessions, calling them a waste of time. Valero is a classic example. With early conversation, by inviting public involvement, it is quite possible that we would have much more clarity about the critical issues. We wouldn’t have had to go from a negative declaration that was rejected, to a draft environmental impact report that was rejected and had to be recirculated. That is the key difference between me and my opponent. I believe in public engagement and participation. Participatory decision-making doesn’t mean I relinquish my authority. It means I have more and better information and therefore a better ultimate decision. 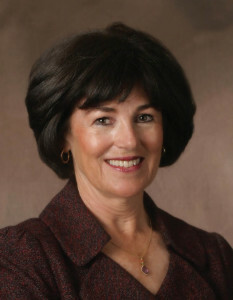 For more information on Mayor Patterson’s campaign, visit Elizabethformayor.com or Facebook.com/ElizabethForBenicia.